A seizure is the medical term for a fit or convulsion. One in twenty people will have a seizure at some point in their lives. However, not everyone who has a seizure will have epilepsy. Electrical activity happens constantly in our brains and controls movements and bodily functions. If there is a disruption to the blood supply to the brain, it can trigger a seizure causing uncontrolled movement of the eyes, limbs and body. What happens in a seizure? The brain affects the whole body therefore different parts of the body are affected depending which part of the brain is involved. A seizure can be anything from an absence seizure – which can be a brief lack of awareness, right through to a tonic-clonic seizure where the whole body is involved in uncontrolled movements. Seizures typically last just a few minutes or less. 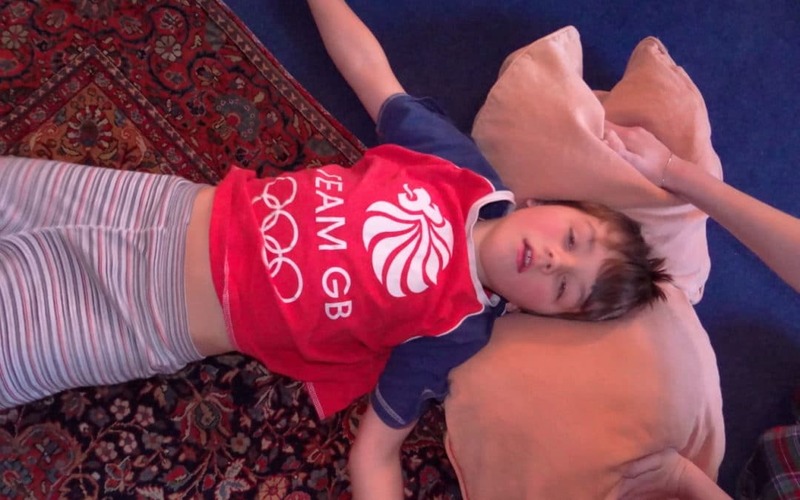 During that time the body is less able to circulate blood to the brain and so it is vital to call the emergency services (or administer medication to stop the seizure if prescribed) if the seizure lasts for more than 5 minutes or if there are repeated seizures. Any of the following factors can cause seizures or anything that disturbs the blood flow to the brain: head injury, brain tumours, stroke, meningitis, malaria, eclampsia in pregnancy, poisoning, lack of oxygen, raised body temperature, epilepsy, drug and alcohol use and withdrawal, fainting, cardiac arrest and many more reasons. Febrile convulsions can happen to five out of every 100 children under the age of six years old and so are not uncommon. These are seizures caused by a rising temperature when they are unwell. Seizures are extremely frightening, however these ones are rarely life threatening and your child is likely to grow out of them by the time they are about 5 years old. A diagnosis of epilepsy is made when someone has had at least one unprovoked seizure – that cannot be attributed to any other cause. Epilepsy is a condition that affects the brain and epileptic seizures occur when there is a surge of electrical activity and messages get confused. It affects around 600,000 people in the UK – meaning 1 in 100 people in the UK have epilepsy. It can start at any age, but often starts in childhood or in people over the age of 60. Although some types of epilepsy only last for a limited time and some children cease being epileptic once adults; generally epilepsy is considered to be a life-long condition that is usually managed with medication. However, in over 50% of people with epilepsy, the cause is unknown, although often there is a family history, suggesting there is likely to be a genetic influence. Epilepsy can be treated with anti-epileptic drugs. Although these can’t cure the condition, they can halt or reduce the occurrence of the seizures. In some case, brain surgery may work, or surgery called vagus nerve stimulation. A ketogenic diet can sometimes be advised for children with epilepsy. Many people with epilepsy can control their seizures and live totally normal lives. However, the existence of epilepsy should be considered in certain jobs, when driving, and some medication can adversely affect the foetus and so this should be discussed with your GP if planning a pregnancy. Once seizure free for 5 years, drivers will usually be issued a licence valid until they’re 70. For a first unprovoked epileptic seizure, drivers must take 6 months off driving from the date of the seizure unless there is high risk of further seizures, which would stop a driver from driving for 1 year. DVLA must be informed of any seizure. Make sure they are safe, ease them to the ground if they are on a chair. Protect their head without restraining them. Make a note of the time that the seizure started and if you are able to note different phases –this can be extremely useful to the medical team when investigating causes and instigating treatment. Specific information as to whether one side of the body is more affected than the other etc can help with their diagnosis. Remove any objects against which they could hurt themselves. Ask bystanders to move away and protect the casualty’s dignity. Once the seizure has stopped, check the airway and breathing and place in the recovery position if unresponsive and breathing or start CPR if not-breathing. Remember that people can appear to have a seizure when they are having a cardiac arrest – if you think this could be the case be ready to start CPR and use an AED. There are many different types of seizures with different causes. Some people have one type of seizure however others have more than one type. 3) Whether the seizure involved movement or not. Seizures can be either focal onset, generalised onset, or unknown onset. 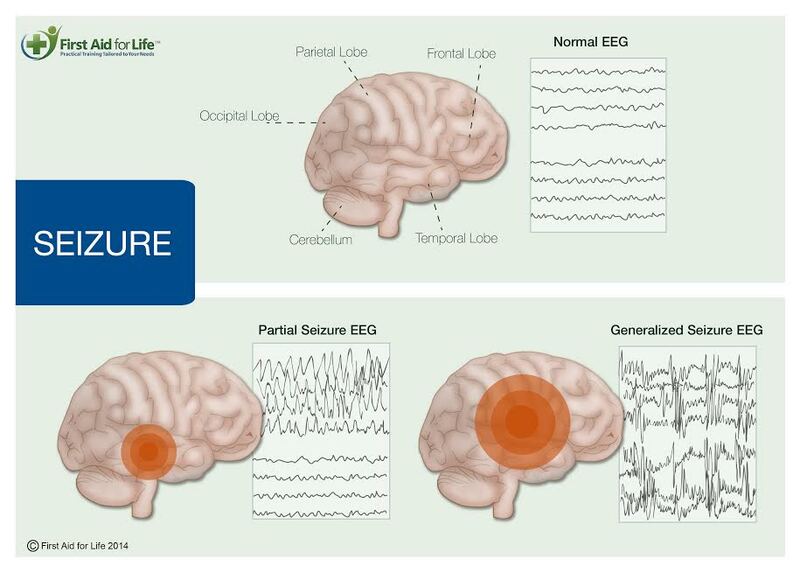 Focal onset means the seizure starts in just one side of the brain. These seizures used to be called partial seizures. Sometimes, a seizure can start as a focal seizure and then spread to involve both sides of the brain. When this happens, it’s called a focal to bilateral tonic-clonic seizure. Generalised onset means the seizure affects both sides of the brain from the start. Unknown onset means the beginning of the seizure is not clear. As doctors get more information about the seizure, they may be able to decide if it is focal or generalised in onset. Rarely, doctors might be sure that someone has had an epileptic seizure, but can’t decide what type of seizure it is. This could be because they don’t have enough information about the seizure, or the symptoms of the seizure are unusual. When this happens, it’s called an unclassified seizure. Focal onset seizures can be put into one of 2 groups depending on what level of awareness you have during the seizure. During a focal aware seizure, you stay fully aware of what’s happening around you, even if you can’t talk or respond. These seizures used to be called simple partial seizures. If your awareness is affected at any time during a focal seizure, it’s called a focal impaired awareness seizure. This replaces the term complex partial seizure. Generalised onset seizures almost always affect your awareness in some way, so the terms ‘aware’ or ‘impaired awareness’ aren’t used for them. Seizures can also be split into motor seizures, which means they involve movement, or non-motor seizures, which means they don’t involve movement. A motor seizure is any seizure that involves a change in your movement. For example, a tonic-clonic seizure – where all your muscles go stiff before making rhythmic jerking movements – is a type of motor seizure. Focal seizures can also be motor seizures if the main symptom involves movement, for example automatic behaviour like plucking at clothes or repeated swallowing. A non-motor seizure is any seizure that doesn’t involve changes in movement. A focal seizure where your main symptom is a change in vision, smell or hearing is a type of non-motor seizure. Absence seizures are also non-motor seizures. Tonic phase – they collapse to the ground as they lose consciousness. The body goes stiff and rigid. They may cry out as if in pain, which is due to an involuntary action as the muscles force air out of the lungs. However, the casualty is not in pain and is usually unaware of the noise they are making. They can begin to appear blue around their mouth and finger tips. Clonic phase – They may rigidly jerk around as the muscles alternately relax and tighten. They may make a snoring noise as the tongue flops to the back of the airway. They could be incontinent and might bite their tongue. Post-Ictal phase – (a medical word to mean after a seizure). Once the jerking stops, they may be confused, sleepy, agitated or pretty unresponsive. If you are worried about their airway put them into the recovery position. It is possible that they may not know who they or you are. It could take a few minutes for it all to piece back together. They may remain very confused and might be aggressive, tearful, scared, or behave very differently to their normal personality. It is strongly advised that you attend a fully regulated Practical or Online First Aid course to understand what to do in a medical emergency. Please visit firstaidforlife.org.uk or call 0208 675 4036 for more information about our courses.